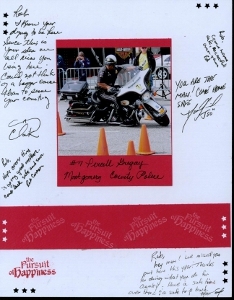 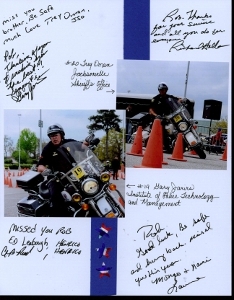 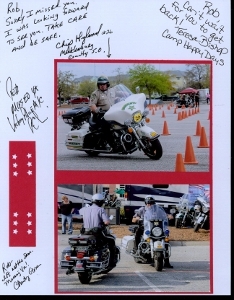 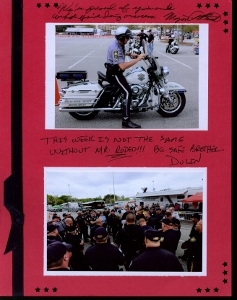 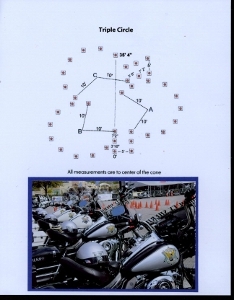 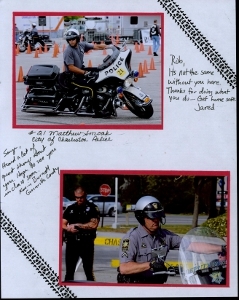 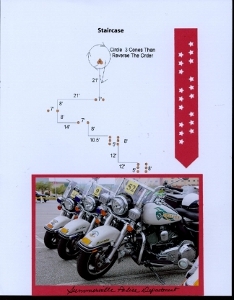 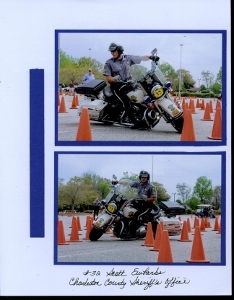 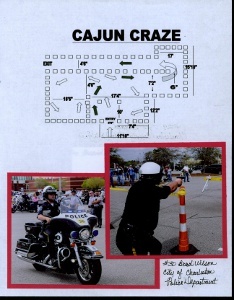 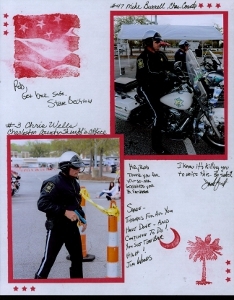 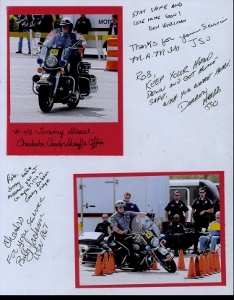 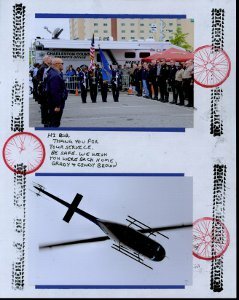 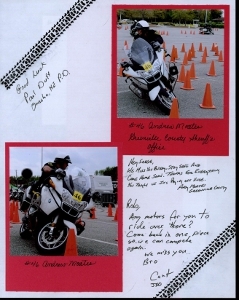 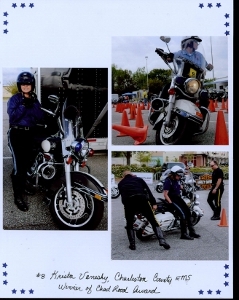 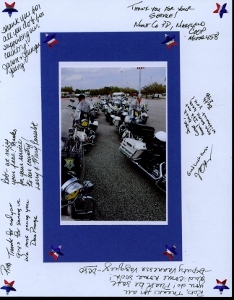 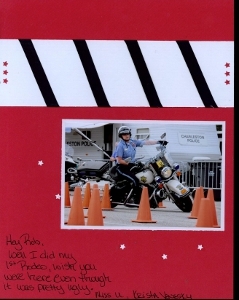 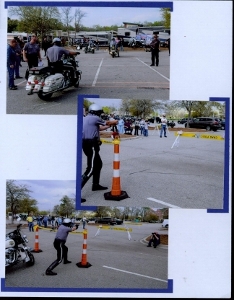 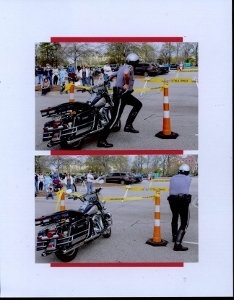 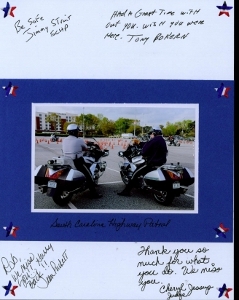 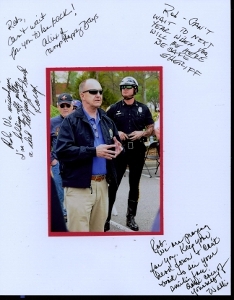 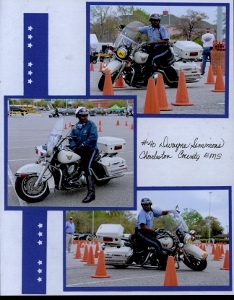 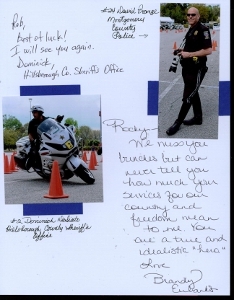 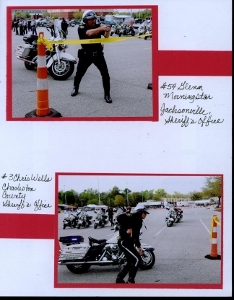 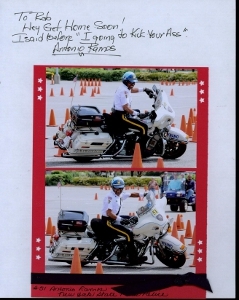 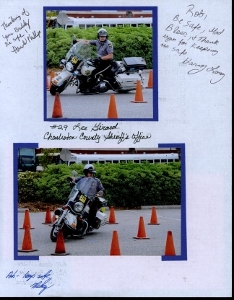 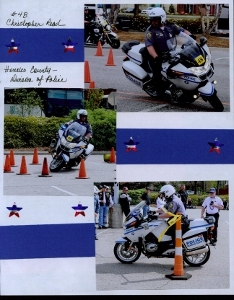 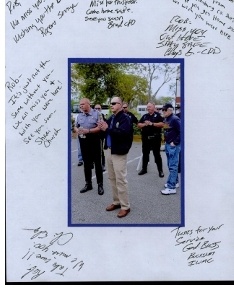 This Motorcycle Competition Scrapbook from the Palmetto Police Motorcycle Skills Competition is intended for viewing by the members of the Charleston County Sheriff's Office. 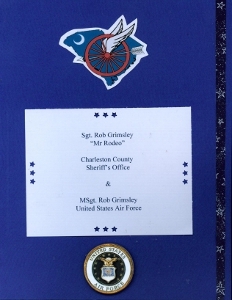 This is in case you did not get a chance to look at it before it was shipped overseas. 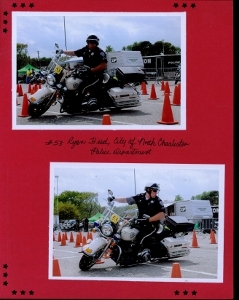 These photos were taken at the Motorcycle Rodeo held in North Charleston, SC the end of March 2011. 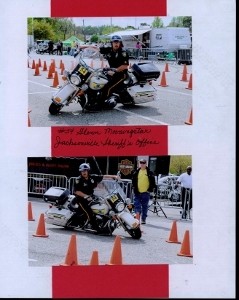 These great Photos were provided by Don Kjellman. 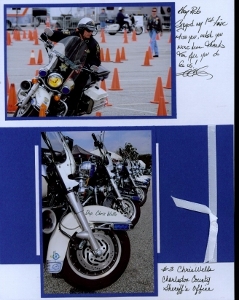 that offers comprehensive, year-round support for children diagnosed with cancer and their families. 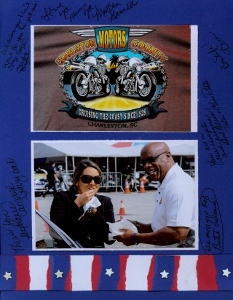 Funds will be used to support their many year-round programs. 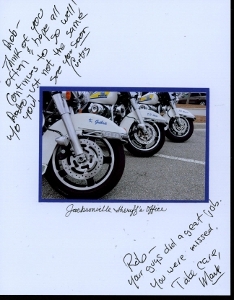 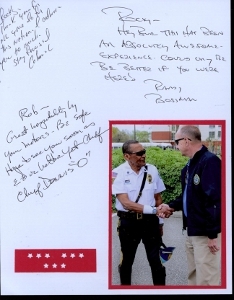 I Hope you enjoyed the Motorcycle Competition Scrapbook and have learned some of what our local heroes do in their off-duty hours to enhance their skills to better serve the public. 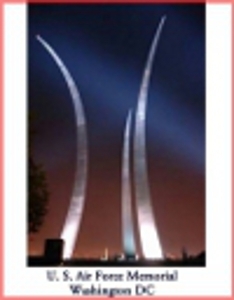 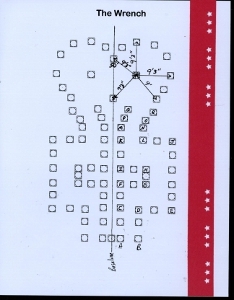 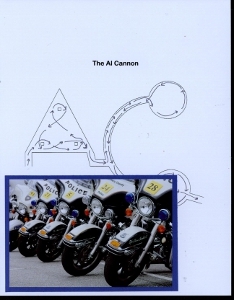 This book was initiated by Sally Suhrstedt. 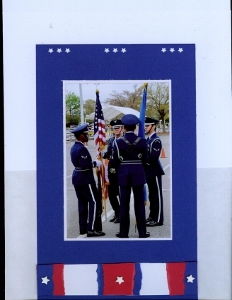 friends gathered to assist in it’s completion. 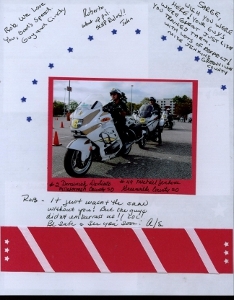 I hope you enjoyed the Scrapbook and will let others know about it. 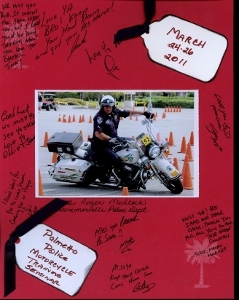 We have another version of the scrapbook, without the signatures on the pages at Motorcycle Competition. 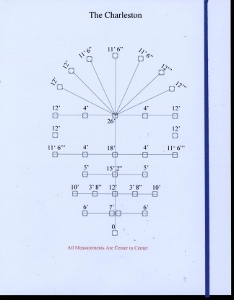 where you can also see some videos posted of prior competitions. 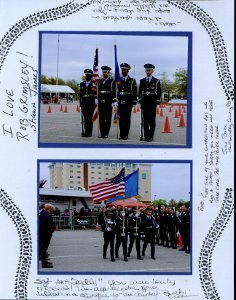 I hope you will enjoy those as well. 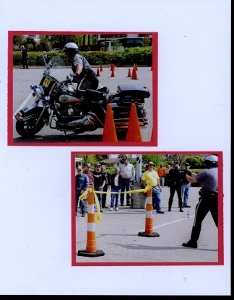 If you have a chance to see one of these Motorcycle Challenges, it will be quite an interesting event and you will have great respect for the skill it takes to ride one of these in a police setting.